Ambassador Anders Ahnlid giving opening speech at WikiGap Helsinki 9th May. Wikimedia Finland spinned out this year’s Women’s Day into a two month long happening! Over 1,000 new articles about women were created in a month-long contest, two editathons and one contest of the week. 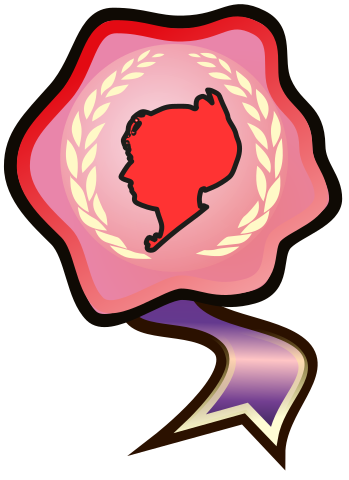 The epoch began with a writing contest held on the week of the International Women’s Day. 107 new articles were created, and 70 % of new biography articles created that week were about women. We also arranged an editathon with the The Centres of Excellence ANEE (Ancient Near Eastern Empires) and CSTT (Changes in Sacred Texts and Traditions) at the Helsinki University. 5 new articles were created by 10 editors. Rosette for 1000 points in the competition Punaisten naisten linkit. As we were preparing for the Finnish WikiGap event we launched a month-long competition on Finnish Wikipedia called Punaisten linkkien naiset (inspired by Women in Red). The aim was to to increase the percentage of female biographies in Finnish Wikipedia. Before the competition the percentage was ca. 18%, after 18,6%. In WHGI stats Finnish Wikipedia produced relatively the most new female biographies in April. In total there were 958 new articles created, 3,217 references added and 752 pictures added. The winners were users Lax, Quadriplegia and Paju, to whom were offered as a prize a lunch at the Swedish embassy and a supper at a later time. The competition was a huge success and managed to grab the attention of mainstream media as well. Kupla, a panel discussion program at the television channel Nelonen, had an episode where they raced to offer their own definitions on the concept of a “red link” and talked about the competition. 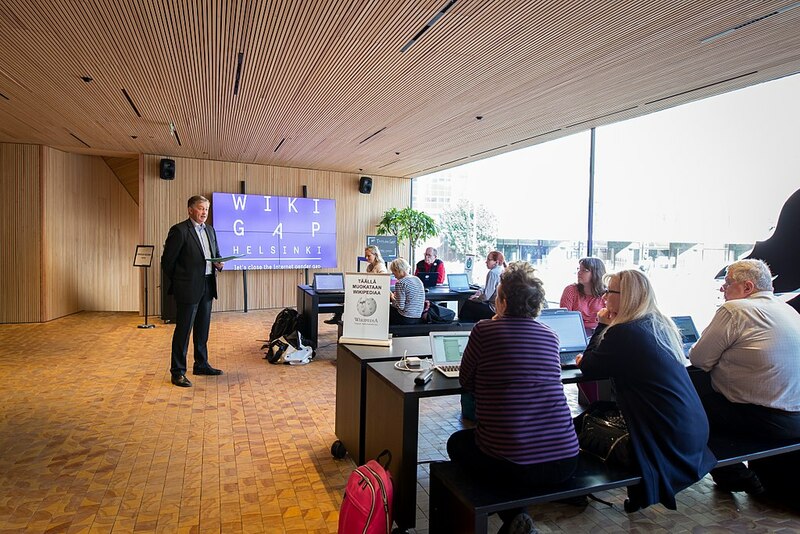 The culmination of the project was the WikiGap event held on 9th May at Science Corner at Helsinki University in cooperation with Swedish Embassy in Helsinki. Journalist Reetta Räty gave an inspirational speech and the ambassador opened the event with a short speech. 14 new articles were created by 25 participants. Swedish embassy offered lunch at the embassy. We made connections with national women’s organisations and had talks about organising a Women’s Day event together next year. Julkaistu 05.06.2018 kategoriassa Gender gap, tasa-arvo, kirjoittanut Teemu Perhiö.